Did Goddess Lakshmi or Goddess Saraswati (not Adishakthi or Durga) kill any demons? I know Parvati Devi killed Demon Mahishasura with help of other Shaktis by manifesting into Goddess Durga. So, Adishakti killed Mahishasura through Parvathi Devi. I think same is the case with Goddess Kaali. But on the contrary, did Lakshmi Devi or Saraswati Devi kill any demons without manifesting into Adi Shakti or Goddess Durga? Mahishasura according to Devi-Mahatmya(Chapter 2 to 5) was killed by Mahalaksmi.The Rishi of this Madhyama-Charitra of Devi-Mahatmya (Sri Sri Chandi) is Sri Vishnu Himself, and Devata is Mahalaksmi. She appeared from the collected aura (Tejas) of Brahma-Vishnu-Shiva and the devas, who were very very angry because of the oppression by Mahishasura. (chapter 2, mantras 9-13).But She of course is one form of Adi Shakti. Also, Kamala,a form of Lakshmi, is one of the Ten Mahavidyas and Her Bhairava is Sri Vishnu.So Devi Lakshmi is also Para Shakti Herself! srvasyadyaa mahalakshmi strigunaa parameswari/..matulingam gadaam khetam paanapaatram cha vibrati/ nagam lingam cha yonim cha bibhtati nripa murdhani// meaning She holds matulinga(a fruit), gada, khetaka,panapatra and on Her head there are naga, linga and yoni. This form is seen at Kolhapur. Parvati in Her own form did NOT kill any demon. 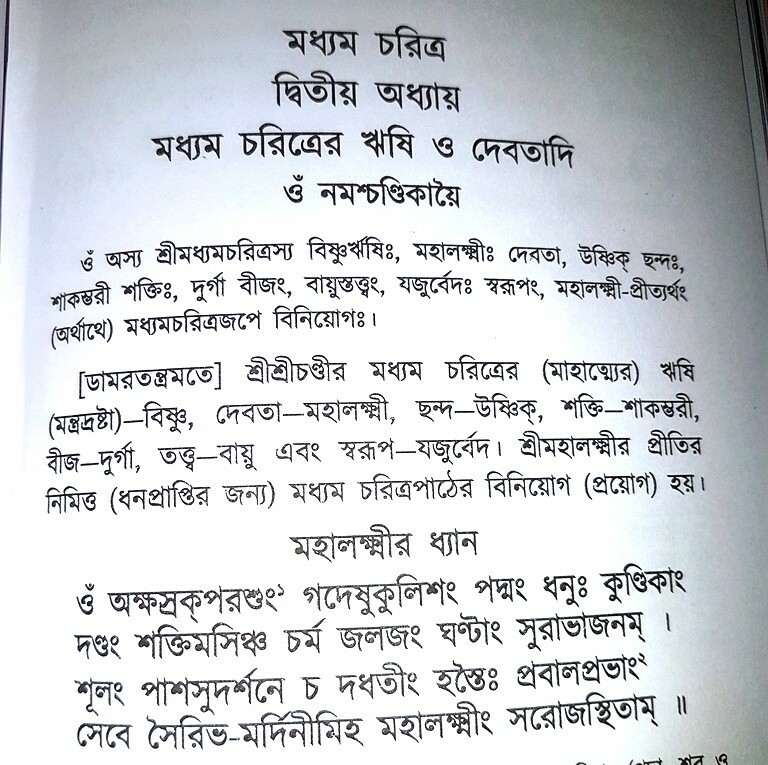 I have added an image of the starting of the second character (Mahishasurasainyavadhah) from Sri Sri Chandi by Udbodhan page 81 that mentions "Om asya srimadhyamacharitrasya vishnur rishih malakshmi devata usnik chhandah saakamvari shaktih durga bijam vayus tattvam yajurvedah svarupam MAHALAKSHMI-PRITI-ARTHAM madhyamacharitra-jape viniyogah" and then describes one dhyana-mantra of Mahalakshmi. Devi Lakshmi told Indra: I am Mahalakshmi myself.In sayambhuva manvantara, I again appeared for killing Mahisasura and benefiting all devas. Goddess Mahasarasvati killed Shumbha and Nishumbha according to Sri Sri Chandi. Durga Devi is said to killed the demon Durgama. Not the answer you're looking for? Browse other questions tagged mythology lakshmi durga saraswati . What is the story of Yashoda's daughter fighting the rebirths of the demons Shumbha and Nishumbha? Who spoke the Lakshmi ashtakam & did Lakshmi really kill Kolhasura? Is Lakshmi an avatar of Durga? 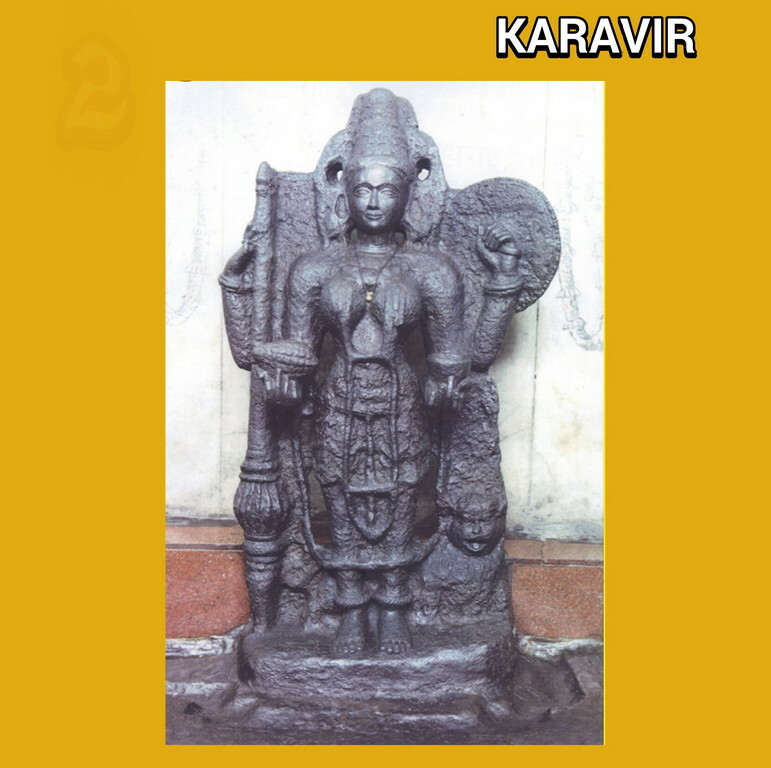 Is Mahishasura Mardini Lakshmi or Durga? Why is only Durga associated with Devi? Durga Devi dream - meaning for woman? Are the 10 Mahavidyas an expansion of Goddess Sati or that of Goddess Shakambhari?